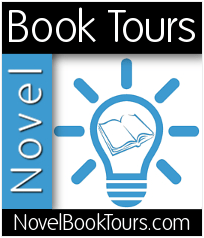 Miss Arabella Howland is content to forgo the London marriage mill to assist her father in his research, especially when it comes to his intriguing patient, Louis Radman. But it’s not long before Bella’s curiosity alerts her to the danger of her father’s work . . . and to the fact that Louis is not who or whathe seems. Arabella gasped at the sight of him. He was so pale! In the dimness, his flesh seemed almost translucent. Lean features were drawn into taut relief, all highlight and hollow, as if ravaged by a wasting sickness. Wet hair clung sleekly to the contour of his skull. Only his eyes burned, a hot, luminescent gold. A trick of the light, surely, for in that moment, she could have sworn they blazed like coals beneath the dark slash of his brows. Then he turned his head away, denying her the sight of his misery. He wouldn’t be fine. She could tell by watching his agitation. Something was dread­fully wrong and he’d come to her father for help. But Stuart Howland was not at home. For a moment there was silence. Then, the slow, hissing draw of his breath. And he came about to face her. They were quite close. He had no diffi­culty reaching out to catch her by the upper arms. His long fingers bit into tender flesh, the pressure hurtful. What kind of illness left such strength in a man’s hands, she wondered somewhat frantically, but she couldn’t move. She couldn’t complain. For he was staring down into her eyes and suddenly nothing else existed beyond the pull of his unblinking gaze. An odd lethargy spread through her as she heard him speak, his tone quiet and somehow soothing. It seemed to melt her very bones. “What can you do for me?” he repeated, as if con­sidering the question. His arms bent until she was compelled forward, until she could feel the force of his rapid breath against her upturned face. There was no warmth to it. Nor was there any sign of weakness or distress in him. Power . . . she sensed power. It en­gulfed her, swallowing her whole. Terrified by her unusual strength and frightening urges, Nicole Radouix’s sheltered country life is shattered when she discovers her family’s secret— she’s the daughter of a mortal mother and vampire father. Stricken, she flees to the seductive lure of the city to discover the truth about who and what she is. But the turmoil of post-revolution Paris is no place for an innocent. Finding herself under the protection of noble ex-patriot Marchand La Valois, Nicole is pulled into deadly underworld struggles, both political and vampiric. As their passions ignite, Marchand soon realizes the lovely Nicole is more predator than prey and may be more of a threat than the unruly streets outside. Desperate to control her dark desires, Nicole accepts an offer of guidance from a hypnotic enemy, ensnaring both her and Marchand in a dangerous web of centuries’ old revenge. To escape their deadly nighttime games, Nicole must embrace her immortality. But will it cost her Marchand’s eternal love? And then her gaze settled far back in the shadows, upon the figure of a man in stark silhouette. She saw him jerk as if with some shock of recognition, then he took one gliding step forward to the edge of lamplight. Reflection played an eerie game upon his face, highlighting skin so fair it seemed translucent and hollows so sharp and deep they were like caverns; a face so startling, so unnaturally beautiful she came close to stumbling in her study. Beneath an arch of black brows, eyes of an icy, luminous blue entranced her. And even as she jerked her head away, she caught the impression of his smile; serene and sinister all at once. Nicole had never seen the Devil, but on this night, she was sure he walked abroad. And she was just as certain that he followed safely back amongst the shadows. She could feel him, an essence so powerful, it frightened her. But the moment they crossed the bridge, the sensations faded and she knew he was gone. But the fear lingered, lending a quickness to her heartbeats and an anxious panic to her mind. Hunt or be hunted . . . A centuries-old obsession stalks a noble family fighting to hide their dark secret from an ever-changing world. 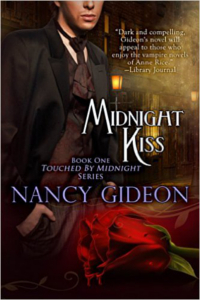 Sink your teeth into Nancy Gideon’s Touched by Midnight series. A savage killer stalks the dark streets of turn-of-the-century New York. To keep her father’s newspaper afloat, publisher Cassie Alexander chases the story. But what she catches is a madman’s attention. When her reclusive neighbor Louis Radcliffe rescues her from an attack, Cassie finds her vow of independence shaken by the strong attraction between them. It’s an attraction Louis denies, even as the invalid grandmother he cares for pushes to bring them together—for reasons that will break both their hearts. Determined to hide his secrets from her, Louis soon becomes the cornerstone of Cassie’s investigation. He can’t allow her stubbornness to place her life—and his immortal soul—in danger. But as much as he tries to keep her safe in his arms, it soon becomes evident that Cassie’s become a target. And Louis has no choice but to find out if their love is strong enough to withstand the truth . . .
A FINE MIST seeped beneath the casements, spilling down to the dark bedroom floor where it massed and roiled and finally gave way to a form that looked human but was not. Louis regarded the woman asleep upon the bed, his features dispassionate, his tone a low dangerous growl. The blonde head tossed restlessly upon a lace-edged pillow. He went on, knowing she couldn’t hear him, at least on a conscious level. Cassie made a small sound and shifted beneath the covers. Her movement tugged the quilt and linen down so they tangled about her waist. The thin nightdress she wore pulled taut across full breasts, tempting his gaze to linger there, then at the demurely tied neckline. And because he was not unmoved by the sight, Louis’s mood darkened. She sighed with a quiet contentment in her dream, oblivious to his dire warning. Then her body arched against those frail bedclothes almost as if she were entertaining a lover. A single name escaped her in a husky purr. He stood for a moment, shocked by the confusion of desires her sultry plea called to. More distressing was the sudden want that rose in response. She didn’t know what she called to. He was no man who could sink into the heaven of her embrace, to take from her kisses and savor the supple human warmth of her body. He was no lover to woo her in the way she deserved. All he was free to give her was the demon inside him. All he could share was the vileness of what he really was, drawing her into the same shadow of the damned that surrounded him. The temptation rose, hot, swirling, unbearably enticing. So easy to excuse his weakness by saying he couldn’t help acting upon the instincts of his kind. If that was all it was, he would not be lingering still, chafing with forbidden longing. He would take from her without conscience, without care and be gone before she was aware of him. But that wasn’t the way he wished to possess her—fleetingly, anonymously—in the night. And because he recognized his darker motives, he resisted the pull. Then, realizing that he was the one now courting danger, he made his figure shimmer and thin to a vaporous impression, finally collecting into a phantom fog and slipping out as silently as he’d come. 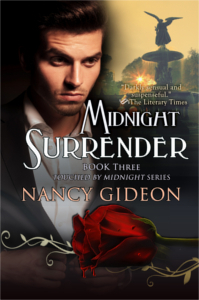 ​When not at the keyboard or working full time as a legal assistant in Southwest Michigan, she can be found feeding her addictions for Netflix and all things fur, feather and fin, enjoying Grammy time (usually watching The Avengers), and meeting new friends and readers through her GoodReads “Nancy Gideon by Moonlight” group. 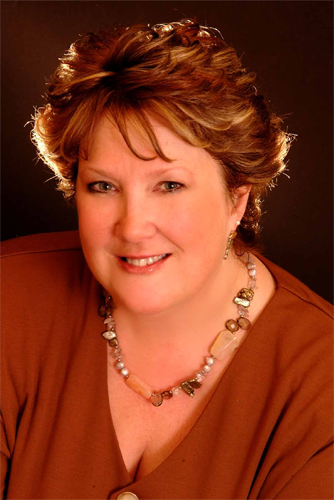 Her books can also be found under the pen names Dana Ransom, Rosalyn West and Lauren Giddings. 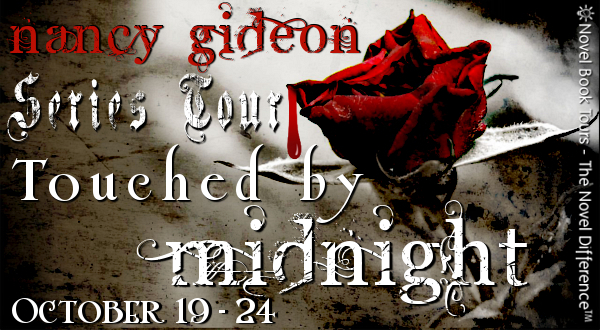 Thanks so much for participating in Nancy’s TOUCHED BY MIDNIGHT blog tour, Kristy – You ROCK!! !